This contactor has 3 poles for switching the load and one auxiliary normally open contact for magnetic latching circuits or control feedback. If you are running single phase power you can leave one pole not connected. All connections are via clamp style screw terminals. Each terminal can accept up to two wires. The contactor can be mounted by the screw holes in its base, or can clamp onto a 35 mm DIN rail. This contactor is rated to switch motor loads of up to 18 amperes at 230 VAC (up to 7.5 HP 3 phase induction motor). This contactor is rated to switch motor loads of up to 12 amperes at 480 VAC (up to 10 HP 3 phase induction motor). The normally open auxiliary contacts are rated for 1 ampere at up to 230 VAC. These contacts are intended for latching circuits and control functions, not switching motor loads. 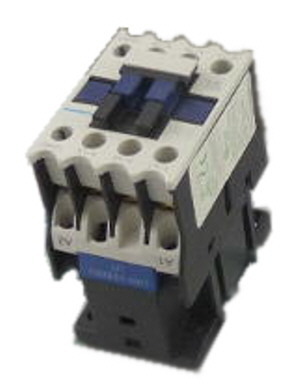 The PMDX-Contactor18-230 is activated by a coil that requires 230 VAC and needs 35 milli-Amperes of current to hold and 300 milli-Amperes of inrush current to initially pull-in. 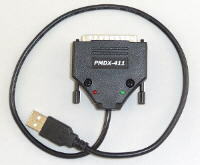 This coil may not be directly be switched by the outputs of PMDX spindle controllers. Power dissipation of the coil during continuous operation is less than 4 watts. A contactor is a special purpose power switching relay. They differ from ordinary relays in that the contacts have an enhanced arrangement of two sets of contacts in series for each pole. These contacts are mechanically arranged such that even if one of them should weld closed, the other can still open. This is a safety feature to help assure that the motor or other load can be turned off despite minor failures. The coil of a relay will produce a Back-EMF voltage spike when it is turned off, so it is a good idea to provide a suppression device such as a Transorb or MOV across the coil or across the device switching it on and off. 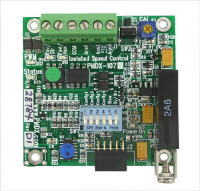 This will prolong the life of the device switching the contactor and reduce electrical noise spikes that can upset other electronics in a control unit. 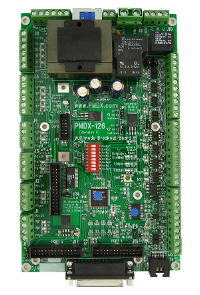 Most PMDX breakout boards include suppression devices for this reason. This contactor has a 230 VAC coil. See Contactor18-120 for a contactor with a 120 VAC coil. We also offer a medium duty single phase contactor with a coil that can be directly switched by the outputs of our spindle controllers. See this contactor HERE. If you need a contactor with other ratings or with overload sensing, we recommend visiting the web site of Automation Direct.